Experience Norfolk takes your privacy seriously. This policy covers the collection, processing and other use of personal data under the Data Protection Act 1998 (“DPA”) and the General Data Protection Regulations (“GDPR”). By using the Website you consent to this policy. We will collect personal data on this website only if it is directly provided to us by you, the user, e.g. your name, email address and telephone number, and therefore has been provided by you with your consent. Normally you will only provide such details if you enquire with us using our contact form. We also use analytical and statistical tools that monitor details of your visits to our website and the resources that you access, including, but not limited to traffic data, location data, weblogs and other communication data (but this data will not identify you personally). We may hold and process personal data that you provide to us in accordance with the DPA and GDPR, but we will not transfer, share, sell, rent or lease your personal data to third parties. You have the right to opt out of our processing your personal data for marketing purposes by contacting us at info@experiencenorfolk.uk. 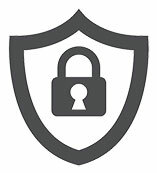 Wordfence is a security plug-in for WordPress and helps keep the site safe and secure. This plug-in will check you’re a real human visitor and your geographical location. Google Analytics allows us to gather statistical information about our visitors (users) and their behaviour on our website. This includes counting the number of visitors, which pages are visited, how visitors find our website and what technologies they use to browse it. In turn, this helps us to improve our website. Occasionally, the webmaster may embed content from other sites and services into web pages (for example, embedding a YouTube video into a page). When third party services are used like this, they will usually set their own cookies in addition to the cookies listed above. To enable our users to share links to our pages on their own social media channels. Ironically, to keep track of whether we have shown you the cookie notification message (and your acceptance), we need to set a cookie. For more information, including how to control and disable cookies, please visit cookiesandyou.com. The DPA and GDPR give you the right to access information held about you by us. Please write to us or contact us by email if you wish to request confirmation of what personal information we hold relating to you. You can write to us at the address detailed in clause 2, above, or by email to info@experiencenorfolk.uk. There is no charge for requesting that we provide you with details of the personal data that we hold. We will provide this information within one month of your requesting the data. You have the right to change the permissions that you have given us in relation to how we may use your data. You also have the right to request that we cease using your data or that we delete all personal data records that we hold relating to you. You can exercise these rights at any time by writing to us at the address or email address below. ©2019 Josh.biz (UK) Ltd trading as Experience Norfolk. All rights reserved.